A round lounge chair lets you relax in comfort and style. The bright color adds an energetic feel to a modernist den and the minimal hardware doesn’t distract from the soft, flowing lines created by the seat. Lex Mod offers several colors, but this orange works best for what we’re going for. Complement the color and smooth surface of the lounge chair with a shaggy pillow in a contrasting hue. Using a color wheel, find the color of your chair first. Next, note the color on the wheel directly across from and opposite to the chair color. Use this shade to guide your choice of pillow. Since the chair featured here is orange, the complementing color is blue. 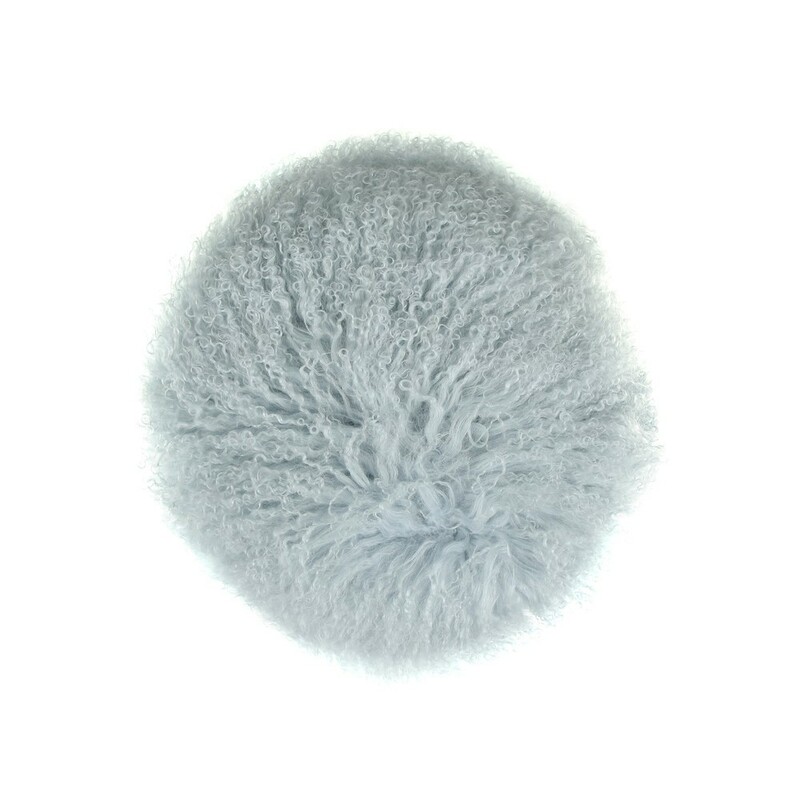 As for texture, stick to wool, faux fur or stringy yarn. Check out Amara for perfect accent pillows like this one. Although an artful fixture may not serve as a primary light source, it dramatically increases the creative ambiance. The soft light emitted from this hanging fixture makes for a cozy, introspective feel and the space-age designs honors Modernist style. 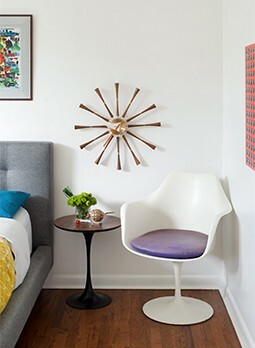 Hang this or something similar as an alternative to more common Sputnik light designs. 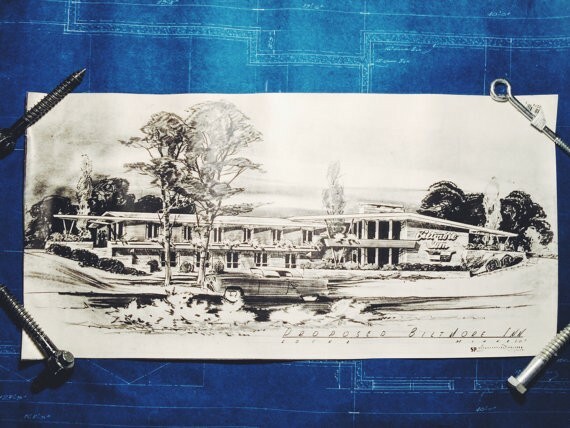 A framed original or reproduction print of MCM architectural sketches adds inspiration to walls. Bonus points if the sketch looks similar to your own home! Incorporating works of creativity into the room gives the space a think-tank feel, motivating you to contemplate your ideas. Etsy has original sketches for sale, and eBay is another great source.